Article published in African Review, January 2017. 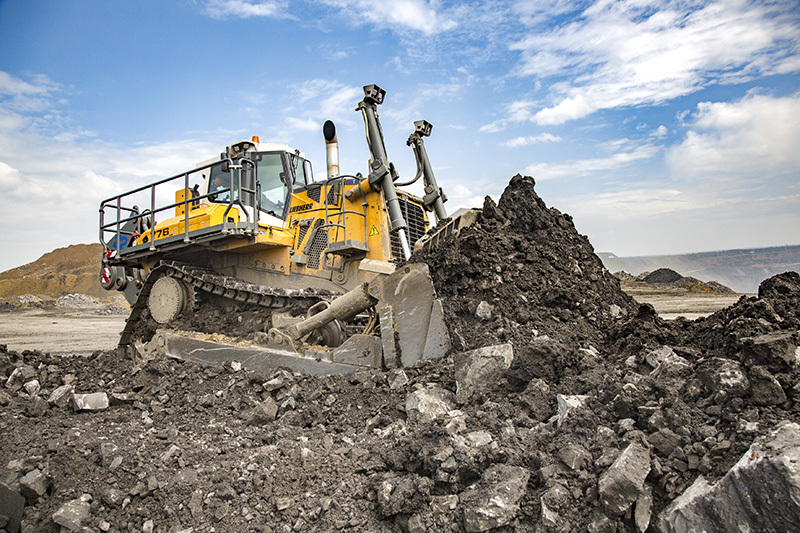 Stephen Smithyman, Chief Executive of Kanu Equipment, tells African Review why he’s upbeat about Africa’s mining prospects going forward. Kanu Equipment is a specialist in the supply and support of world-class earthmoving, mining, construction and agricultural equipment. It’s one of the largest dealers for big names like Liebherr and Bell Equipment, operating across markets in east, west and southern Africa. Founded five years ago by chief executive Stephen Smithyman, the group has doubled in turnover every year since. Given the commodity price slumps and global financial uncertainty during that time it’s something of an achievement. For the year ending June 2018, turnover is anticipated to be around US$80m. But, in essence, Smithyman says the blueprint for success has been pretty simple: supporting customers every step of the way. It’s also ingrained amongst the company’s increasing staff count (now 570 people), from the management teams right down to each and every individual. Of course, while people are at the core of any organisations success, Kanu has the added advantage of working with leading edge industry names too. Smithyman says the company was founded on integrity and only distributes quality brands with necessary OEM support to respond swiftly to customer needs. Other brands under the Kanu umbrella include Case, Wirtgen -. The company is now well established across large swathes of the continent. On the mining side, Kanu works closely with Liebherr and Bell Equipment, , and in other markets with Wirtgen on the road building side. Mining has likewise played a strong role in Kanu’s growth story. “We’re the largest independent Liebherr mining dealer in Africa. It’s a cutting edge product, so we’ve got some large customers in places like Botswana and Namibia, where we are very proud to represent them.” Away from southern Africa, the company also maintains a heavy footprint in west Africa, in Ghana, Liberia and Sierra Leone, as well as supporting key players in east Africa, notably Tanzania on the mining side. Significantly, Smithyman sees room for further growth in the coming years, both within these core markets and potentially others too. Kanu is also presently exploring the potential of the Democratic Republic of Congo. It has its sights on other new markets as well, including Uganda, plus the islands of the Indian Ocean: Madagascar, Mauritius and Reunion. In western Africa, gold will continue to push developments in Sierra Leone, Ivory Coast and Liberia, where there is also some iron ore mining that’s starting to move forward.Likewise, Tanzania represents a significant market for mining business, while Kenya holds untapped potential as it seeks to develop its own industry further. While the steady rise in turnover through the years highlights Kanu’s successful strategy, there is every reason to believe that more good things lay ahead for this enterprising dealership. Kanu has upgraded and grown — in size, stature and reputation — since its formation, even during tougher economic times, highlighting a steely resilience and no doubt some clever leadership. And a shift in Africa’s political landscape could further bode well for the continent. Smithyman cites the recent transition of power in Zimbabwe and indeed the number of democratic elections in Africa over the last couple of years — the likes of Ghana, Liberia, and for the most part Kenya — that have passed by peacefully. It’s something that will not have been lost on foreign investors, keen to unlock Africa’s undisputed potential, but perhaps thwarted at times by the complex politics.